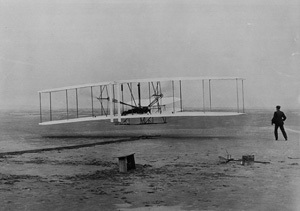 The Wright Brothers built the world’s first successful airplane. On December 17, 1903, the brothers made the first powered flight in North Carolina. The flight last for only 12 seconds with the aircraft only ever reaching a height of 20 feet off of the ground. Still, the flight was ground breaking. This flight led to the Wright Brothers filing for a patent in 1903. They drafted their first patent application themselves and could not demonstrate a working aircraft. 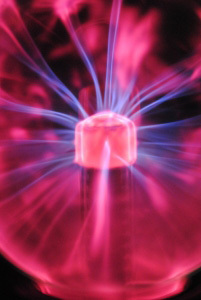 They were denied a patent and the US Patent Office suggested that they work with a patent attorney. 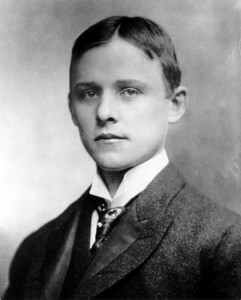 Friends referred them to Harry A. Toulmin in Springfield, Ohio. Patent Geek – Max Factor? Did Max Factor patent lipstick? This week we mourn the loss of one of the greatest innovators of our time. Steve Jobs, founder, long-time CEO, and chief creative genius behind all things Apple passed away Wednesday at age 56. In his lifetime, Jobs brought us new ways of experiencing technology life that we likely may not have thought of on our own. In fact, the Man Behind the Mac has been named on some 313 issued patents. 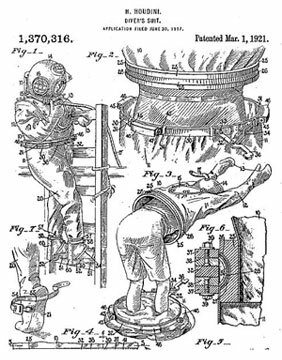 That’s excluding any applications that may have failed to make the cut and whatever countless other innovations he may have influenced that were never patented. Even more amazing is the variety of items he had his hands in designing over the years. Steve Job’s design patents cover everything from the iconic round mouse and the packing for the iPod to the glass stairs in Apple Store. 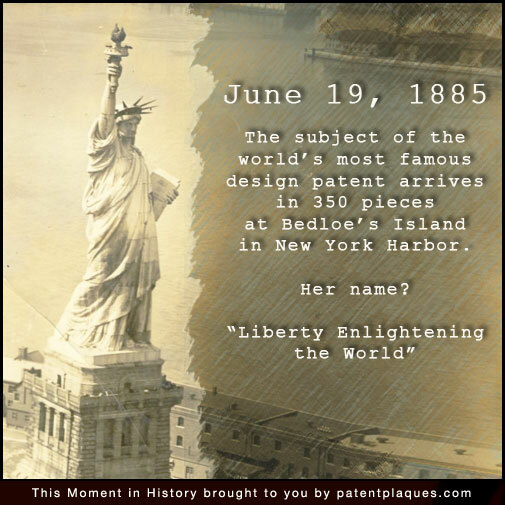 Did you know the subject of America’s most famous design patent wasn’t actually designed by an American? You know her as The Statue of Liberty. She stands tall on her pedestal on Liberty Island, a beacon of hope for Freedom seekers the world over. But, did you know the greatest symbol of American Opportunity almost didn’t happen due to a lack of funding? It’s true! Auguste Bartholdi was commissioned in 1876 – the year of the American Centennial – to create the statue as a gift to America; it would be a symbol of friendship between France & the US for everyone to see. France would raise the money to build the sculpture, and America would handle the pedestal. 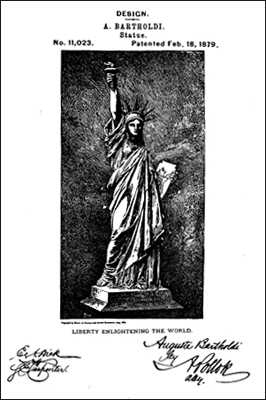 Even with Bartholdi’s patent – which he got specifically to allow him to create and sell replicas of Lady Liberty as a fundraising effort – France still had trouble finding enough public support. It took numerous auctions, art exhibits, lotteries and theater events were used to raise the needed funds from their end. Construction of the statue began in 1875 and was not completed until nine years later in 1884. Alexandre Gustave Eiffel, the designer of the Eiffel tower, planned the skeletal framework for the statue. A larger-than-life representation of the Roman Goddess Libertas, Bartholdoi used two different women as models. The face is said to be a likeness of his mother. His wife posed for the arms and torso of Lady Liberty. Meanwhile, America was having her own bit of funding problems. That is, until Joseph Pulitzer’s shame campaign against the wealthy and middle class alike spurred enough interest to finally fund the pedestal in 1885, just months before the statue – which had been shipped from France July of 1884 – arrived in New York. So finally, on June 19, 1885, the world’s single, most powerful symbol of Freedom arrived in America in 350 pieces packed into 214 crates. They were reassembled in their place on Bedloe’s Island in New York Harbor. 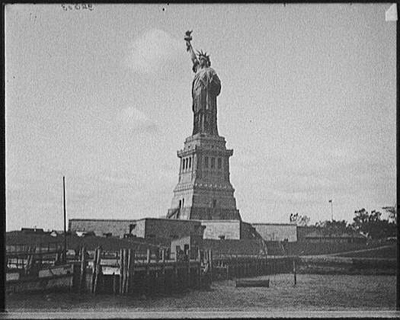 On October 28, 1886, before thousands of spectators, President Cleveland dedicated the Statue of Liberty on the now-named Liberty Island. Lady Liberty stands 305 feet and 1 inch tall from its base to the tip of the torch and weighs 450,000 pounds. Each year over 3 million people visit the statue that has welcomed immigrants to Ellis Island since 1892. In 1853 at the height of the California Gold Rush, everyday items were in high demand and short supply in San Francisco. 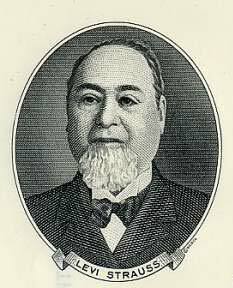 A 24-year-old German immigrant, Levi Strauss, left New York and made the journey to California to join his older sister and brother-in-law in running their dry goods store. Upon his arrival, a prospector asked Strauss what he had brought. When told that Strauss had brought canvas for tents and wagons, the prospector told him that he should have brought pants. 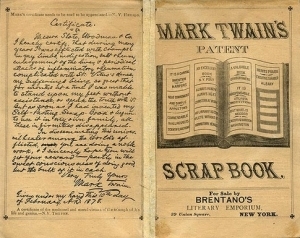 What was Mark Twain’s most profitable book?